Brunel Safety Element Torque Limiters have been protecting industrial power transmission systems around the world since 1971. The Fresh and Waste Water Safety Element Torque Limiters are designed specifically for the outdoor environment. Provided to protect the Diesel Engine, Clutch, U-joint and the Rotary Cutter Head. 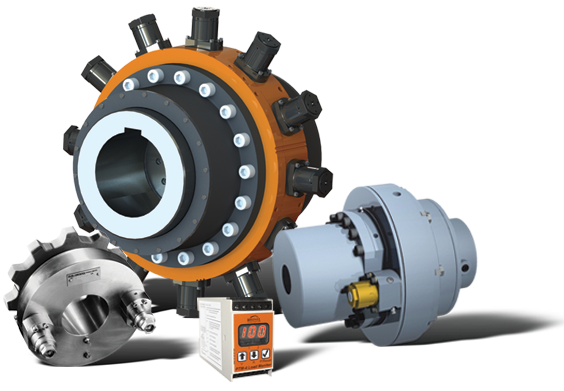 Various size of units supplied depending on release torque requirement. Gone are the problems associated with slow reaction electrical overloads and shear pins which give a wide torque variation and rapidly overheating slip clutches. Brunel Torque Limiting Clutches will save you money. The initial cost of a Torque Limiters is normally covered by the savings of down time and lost production during the first overload. 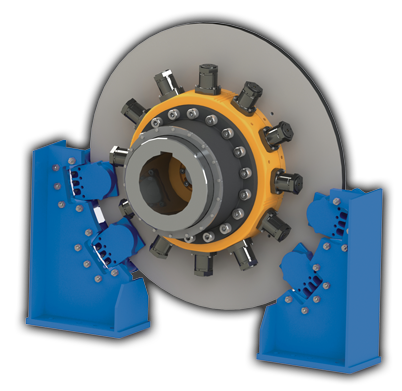 The all metal totally enclosed clutches provide years of trouble-free service — with ±5% repeatability — and are virtually maintenance free. 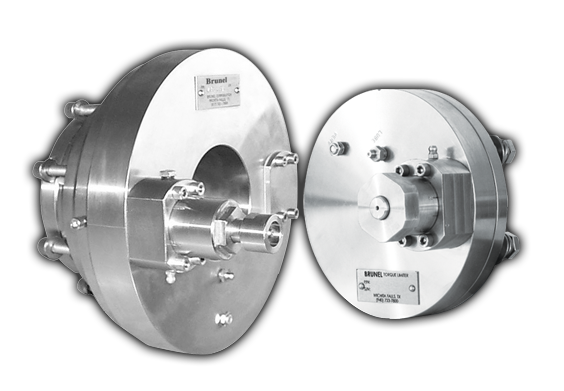 Brunel’s Torque Limiting Safety Element Modules have been specifically designed to provide overload protection for applications where very high torques are transmitted and to extend the range covered by Brunel Type JA units. The modular system provides facilities for virtually unlimited torque capacity and lends itself to many transmission applications – chain, belt and gear drives, or shaft-to-shaft gear or flexible coupling drives. The maximum release torque depends on the number and size of Torque Limiting Modules that can be incorporated, and the size of the unit that can be accommodated within the confines of the installation. Internally & externally adjusted modules provide repeatability better than ±5%. Come visit us at the SME 2019 Annual Conference in Denver, CO. Feb. 24-27 We are located at booth #703. Come see what is new in the Brunel product line. 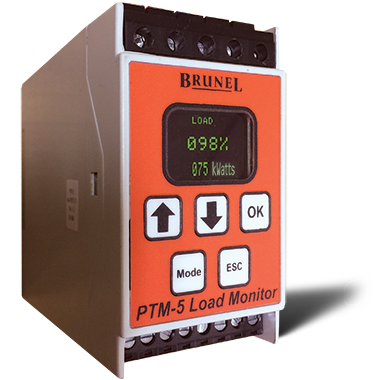 Brunel’s Torque Limiting—Safety Element Modules have been specifically designed to provide overload protection for applications where very high torque’s are transmitted. The multiple springs control torque setting is accurate within ±5% and is maintained indefinitely. Ease of maintenance is assured by eliminating the need for continuous adjustment and improves operator safety with the enclosed springs design. This all metal totally enclosed construction allows for longer life in a contaminated environment. Brunel’s Safety Element Modules will increased the dependability of the your drive application and there is a larger range of torque settings available to meet your specific application needs. 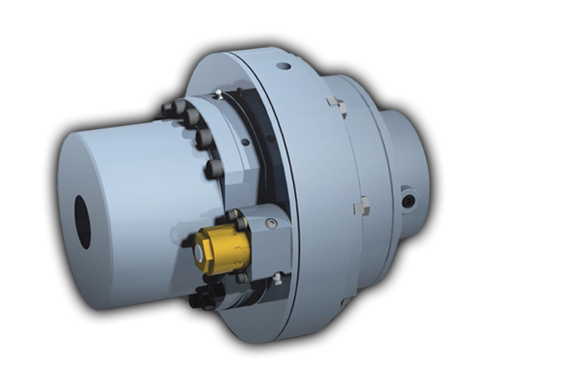 The modular system provides facilities for virtually unlimited torque capacity and lends itself to many transmission applications – chain, belt and gear drives, or shaft-to-shaft gear or flexible coupling drives. The maximum release torque depends on the number and size of Safety Element Modules that can be incorporated, and the size of the unit that can be accommodated within the confines of the installation. Internally & externally adjusted safety element modules provide repeatability better than ±5%. Modular design simplifies maintenance. 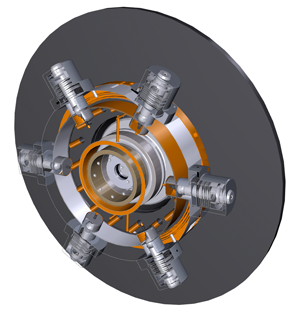 The user can replace Safety Elements Module—the working components—without removing the clutch from the shaft. The clutch can be removed—dropped out—without moving the motor back.